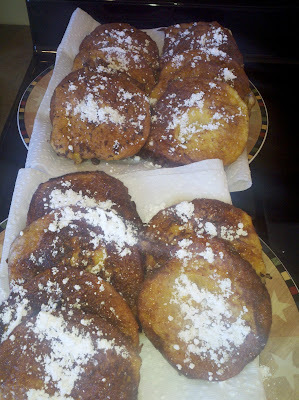 Seasons of a Shepherdess: Eggs..Feast or Famine! 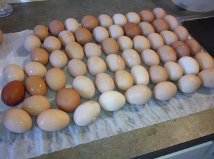 When it comes to my hens...we are either rationing eggs or there are 20 dozen in the fridge! Right now, we are feasting! Pound cakes, french toast, scrambled eggs, pound cakes, fried eggs, deviled eggs, pound cakes, hard boiled eggs and didn't I mention the pound cakes. Every friend leaves with a dozen (or 2 or 3) and we make sure our neighbors have their fill...my dad mentioned he may start crowing if he eats another egg. So if you hear us crowing...you'll know why! 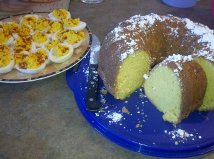 Deviled eggs & of course a pound cake!